I bought Argo 6/18/2012, and traded in a Procharged '07 Charger SRT8 (527rwhp/454tq). I followed the 86 through its concept days and the allure of potential power to weight ratio, having a manual again, and RWD sold me on the platform. I've modded here and there along the way, but I finally got around to making a build log. I plan to turbo the car, and if I didn't purchase a house in June of '14, I would have ordered a turbo kit, clutch and axles. Essentially, all I have left are those 3 things, possibly a built engine, and a Flex fuel kit. My goals were to make the car fun to drive (well more fun), and eventually 300ish whp on 93 and ~500 on e85 (330whp should equal my Charger in power to weight ratio). I'll probably go with a EFR7163 or GTX3076R turbo, but may go slightly smaller for better response. A few pics... I need to take some better ones once the weather improves a little more. Last edited by Kwaziekeller; 10-30-2016 at 07:56 PM. 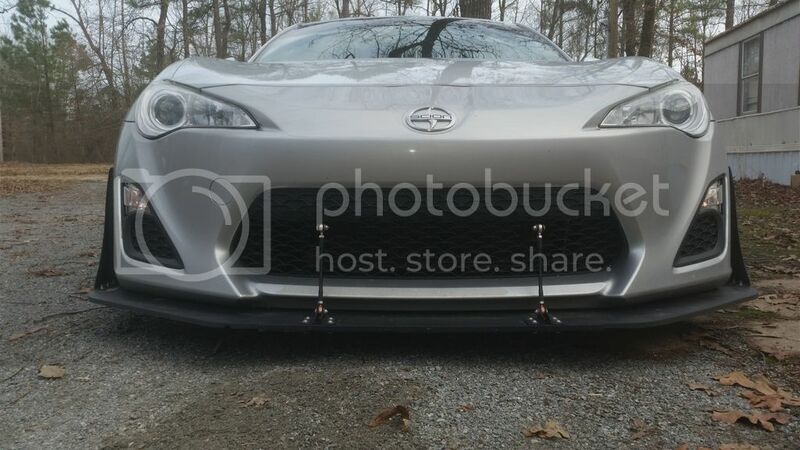 I like your splitter and diffuser. I wasn't a fan of those rims before I got my car, just from seeing pics, but for some reason they look pretty good on silver. Do you track the car, or just dd? I feel the RPF1's are kind of overplayed on 86's but went with them because they are so hard to beat weight wise for the price. I went with the gunmetal finish from Oakos.com because I didn't like the other finishes available, so far so good. It's my DD and I enjoy winding roads occasionally. Considered getting into auto-x, but I have a crazy work schedule (only one weekend off a month). If there were some road courses closer I'd consider prepping for a track day sometime. The splitter and diffuser were to address aero concerns (stock kinda floats at high speeds) and increase mpg. Down the road once I'm FI, I'll do a lot of roll racing and need the stability. Last edited by Kwaziekeller; 11-12-2015 at 06:49 AM. 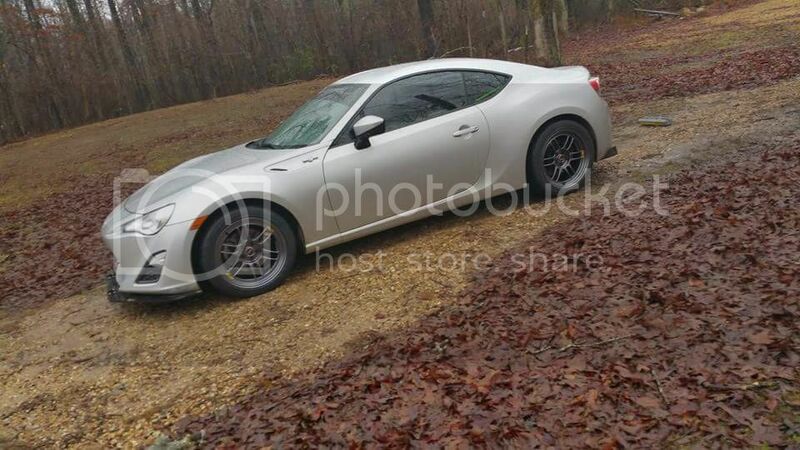 Idk what type of FI you are looking to get into but check out the development of the FT86 Speedfactory turbo kit. It seems like it is going to be the perfect balance of power and handling. Makes me feel privileged to live in southern California with access to two tracks within an hour so. Although the lack of any roads with a turn within a 25 mile radius is depressing. I prefer the functional aero to the aesthetic ones, and those look serious. I'm definitely going to keep an eye on your thread as your ride develops. 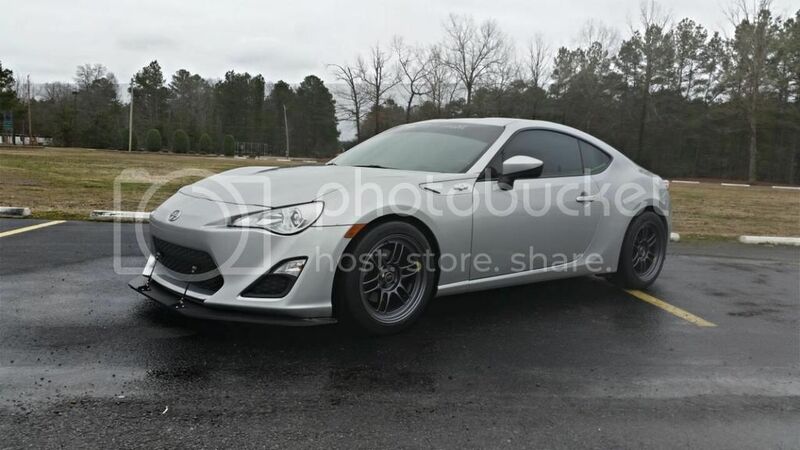 Yea, I'm keeping my eyes on the FT86SF turbo kit as well. Leaning towards a GTX3076R or EFR7163 based kit to reach the 500whp goals I'm after, but recently some one cracked 600whp on a 3076R so that may be a bit of overkill. By time I'm able to do it, I should be able to get all of the supporting mods I want, including internals... so we will see. Going to be a while, like 4 years tho lol. I just found out the other day that Memphis International Raceway is open and hosting HPDE events again. They had changed ownership a few years ago and I wasn't sure if the road course was open yet. 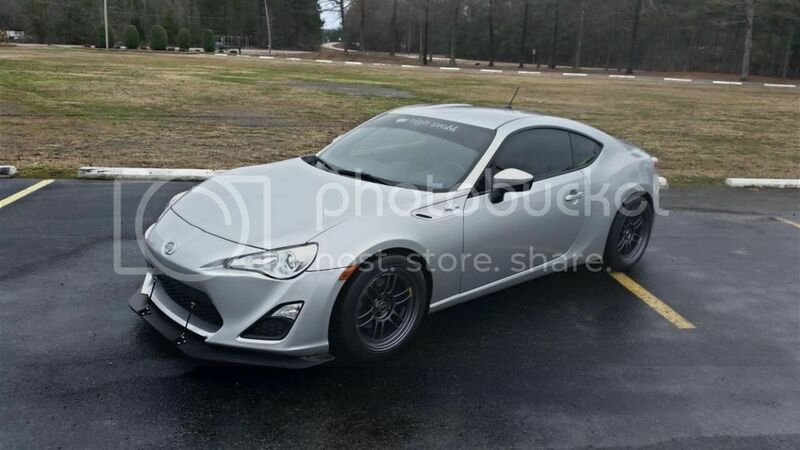 That track is about 2-2.5 hours away, and after membership dues etc, I could get to a NASA HPDE 2-day driving event for around $400, and get into the SPEC86 class if they get that going (although I'm sure some of my mods are not approved). It's not a great track, or world renown persay, but it's definitely a safer environment than public roads! 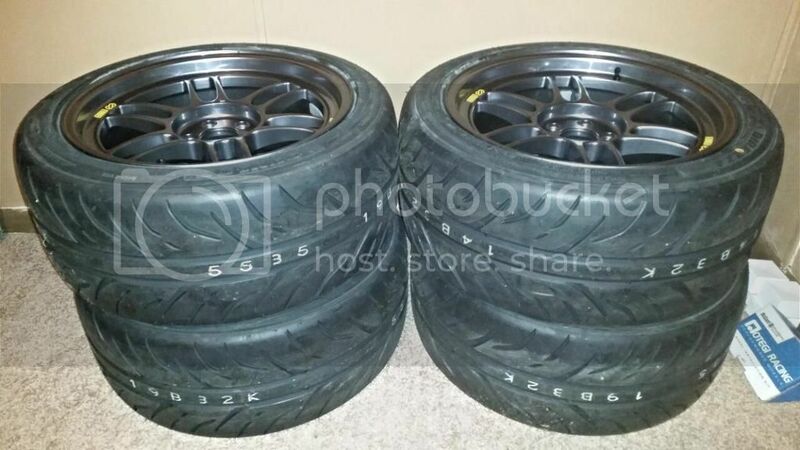 I am looking to buy rpf1s this week but before I do, did u have any rubbing issues with the +35 offset and 245/40 tires? How are the Megan trail arms holding up? 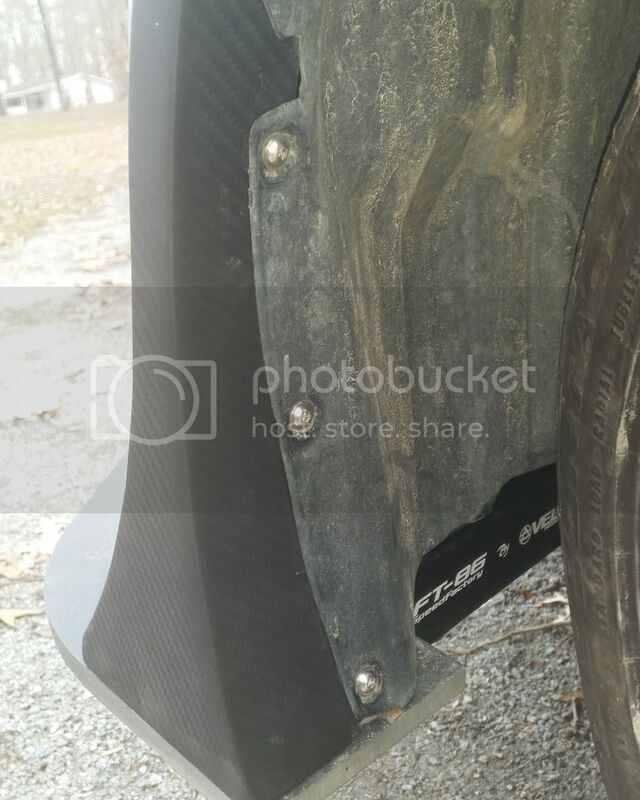 I have some installed on my car, but curious how they will hold up long run vs the short amount of time I have had them. No issues at all, I have about -.6 camber up front and 0 in the rear. 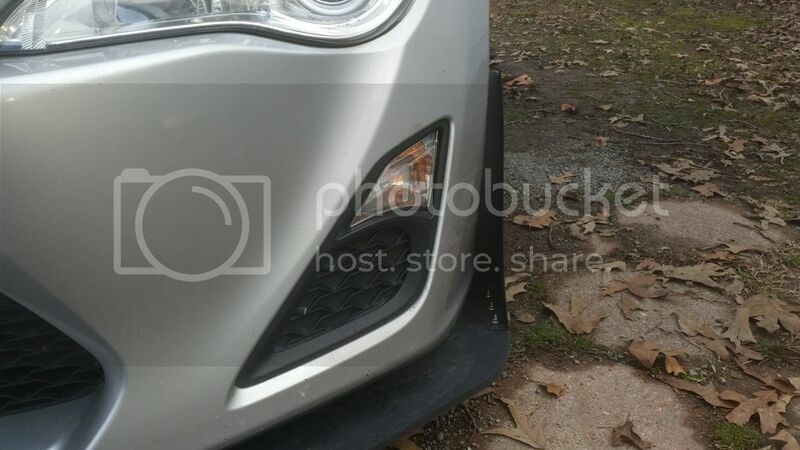 The fronts could rub depending on tire choice as some are slightly wider than others, but a little more camber would solve that. Not the best for the most grip, but good for tire life. 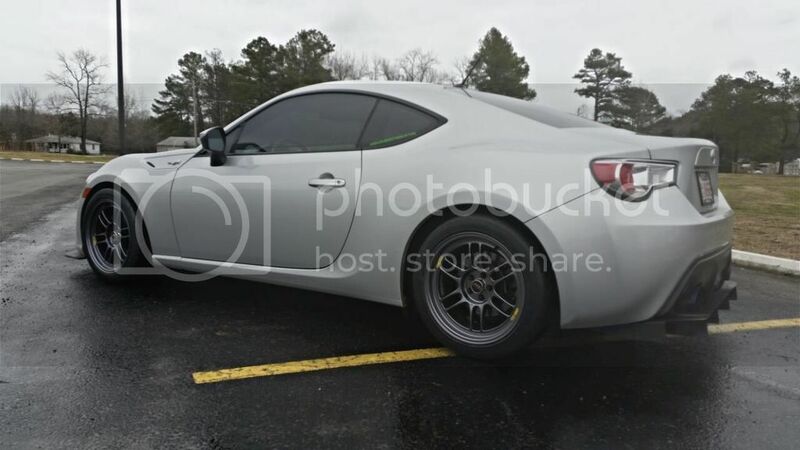 The springs/stock dampeners are what will hold me back in the bends, it feels like it sorta skips because the suspension is bottoming out when I push hard. So far so good, I got the non-adjustable ones. I may eventually swap to the adjustable ones, and go to "better" LCA's. I haven't been under the car in months because of the weather, but next time I get a chance to I'll check the rear components, since I need to check the diffuser for damage as well (mainly getting slightly bent by snow). Are you planning on anything for the sides like skirts? You got the front and back taken care of, now just need something on the sides to balance it out. I have the Driveway Labs V2 on mine and love it. 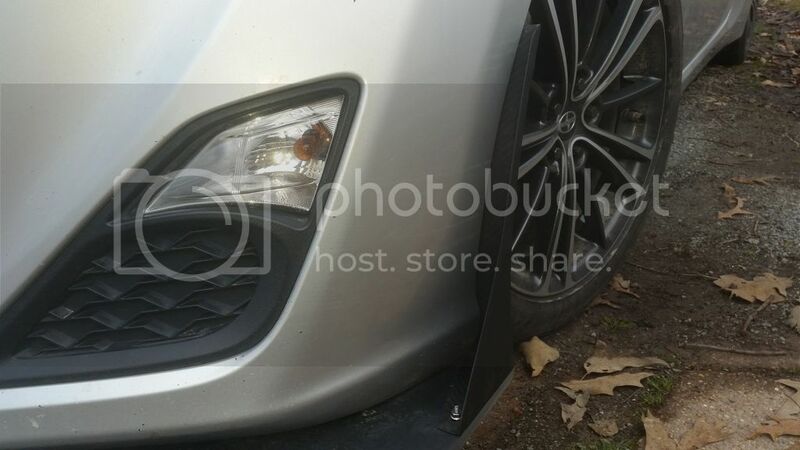 The V1 was a bit too much for my tastes but it actually works great on your car because of the front splitter. Just keep the look goin on the sides I think. 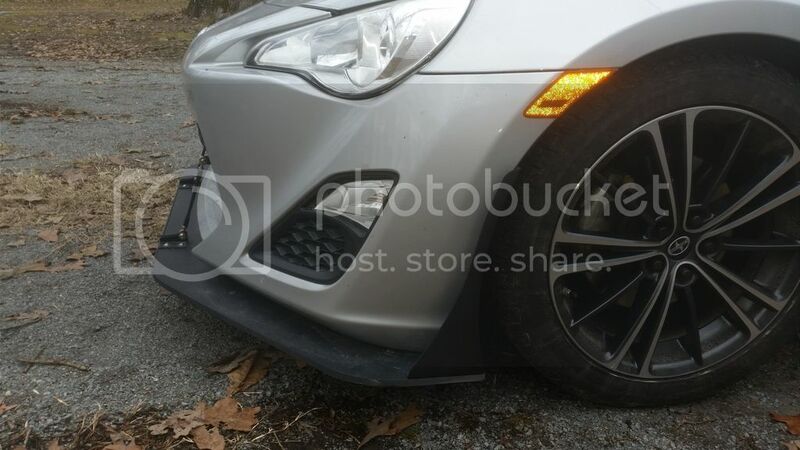 I've considered Driveway Labs side splitters, or the HT Auto side skirts, but I'm worried about speed bump clearance lol. Not that my car is excessively low, but it's a DD and function is still important. Plus both are matte black to match the front splitter and diffuser. Someday I'll get around to it, hopefully by the end of the summer. As far as other planned mods. Power wise, just a turbo kit, flex fuel kit, clutch and axles left. 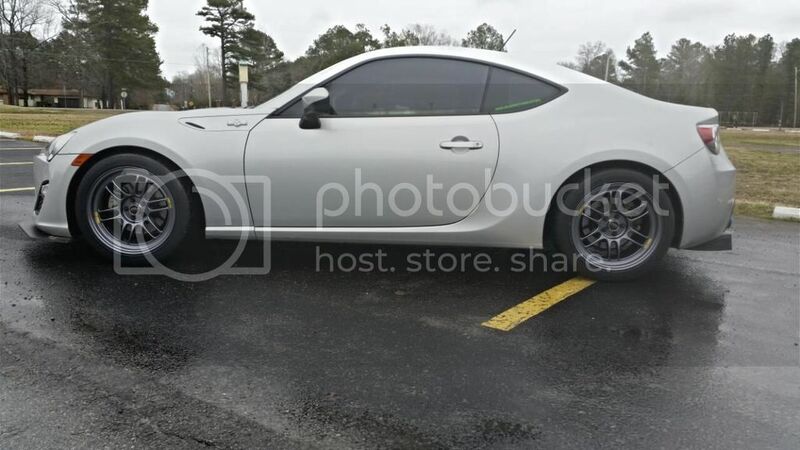 I may get a spoiler (I like the Modbargains one, which is based on the ABFlug iirc), and some side skirts (it does look kind of off with out any). That's really about all I have left lol. I may replace the Megan Trailing arms with the adjustable ones, and go to better LCA's (interested in Velox Motorsports' that are under development). Other than that... just maintenance and smiles per gallon. PS... I'm ready for warmer overnight lows so I can put my RPF1's and Direzza ZII's back on! Nice! 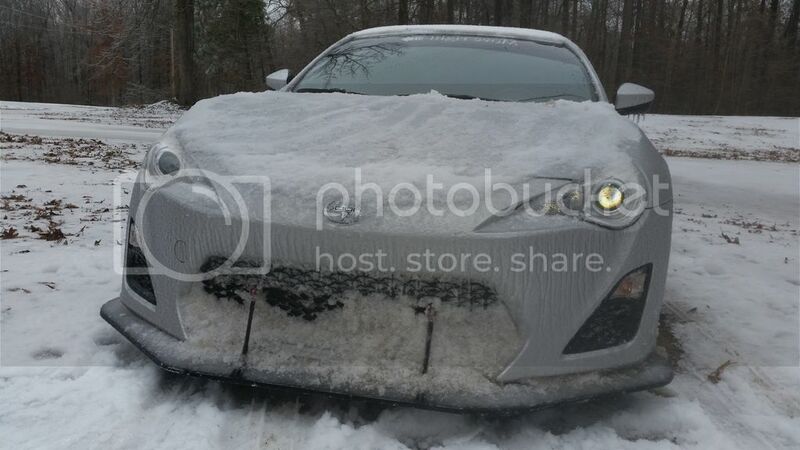 This is the first FRS I have seen with the deflectors. I am considering them myself. The only thing holding me back is my canards. I am not too sure how great those would look with these. I'm not sure. I definitely haven't seen anyone running canards and these endplates. The endplates are pretty new, so I imagine they'll start popping up more and more. I didn't want to clog up your build thread with talk of the deflectors etc. 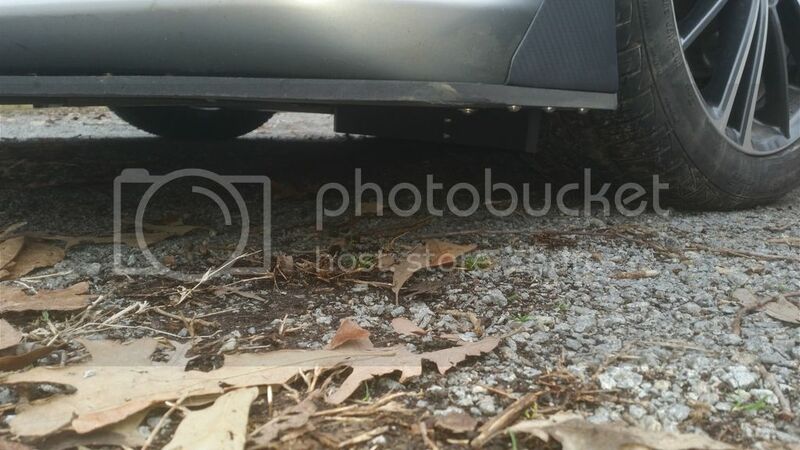 They're a little longer than stock, but still have a good bit of ground clearance. I haven't had them scrape anything yet and I've been over some speed bumps, buckling cracks in the roads, potholes, and my muddy driveway lol.